We love these unique gemstone finds, straight from our very best designers! 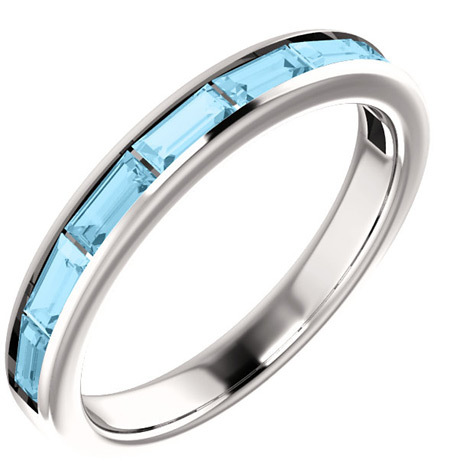 Eight baguette-cut genuine aquamarine gemstones are set in a solid 14k white gold band to fashion this wear-alone or stackable grey-blue aquamarine ring from Apples of Gold Jewelry. Each aquamarine gem measures 4mm x 2mm in size and is high quality AA rated. 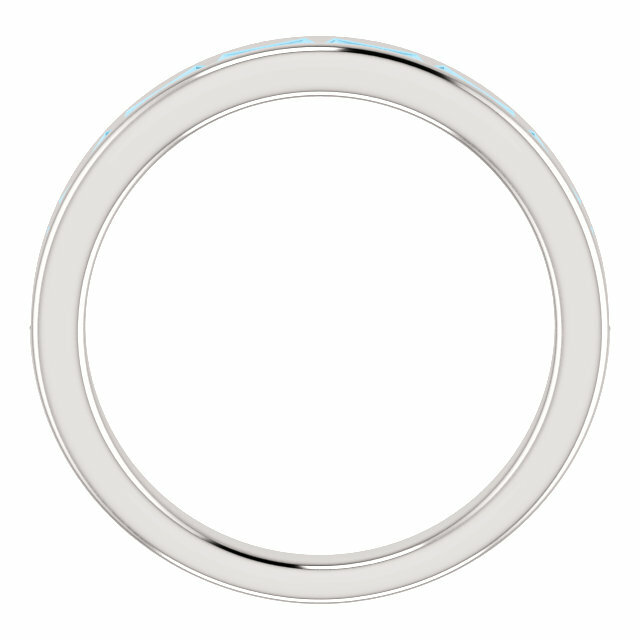 The band measures 3.2mm wide and is available in women's sizes 6-8, including half sizes. Want it in yellow gold instead? This ring is also available in 14k yellow (see below). Includes free shipping and our signature 45-day return policy. We guarantee our Eight-Stone Baguette Aquamarine Ring, 14K White Gold to be high quality, authentic jewelry, as described above.